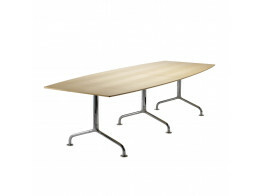 Find prestigious executive office furniture collections comprising of designer high quality desks with complementary desk returns, storage and meeting tables on Apres Furniture. Our collection of contemporary high quality, dynamic executive furniture desks, chairs and cellular office workwalls offer you market leading, designed and quality manufactured management level furniture from leading European manufacturers. We have specifically selected the highest quality executive office furniture on the market, to provide you the means to create a unique contemporary and modern executive office solution. Make a selection from the categories below to furnish your executive office. Our furniture skilfully combines the highest quality materials to bring you the best in high-end management furniture solutions.